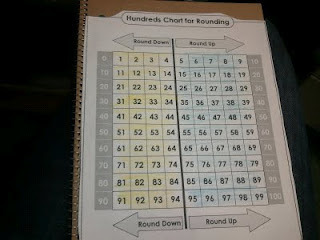 Courtney Mann, ETC: Rounding Hundreds Chart Freebie! 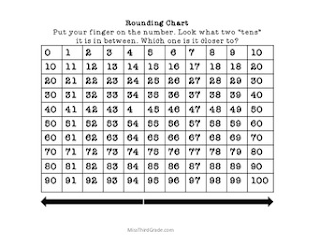 So last year I came across this little gem from SuperTeacherWorksheets.com but now you have to be a member:( and I'm a poor teacher that is too cheap to by a membership:( So I just made my own this year and it is FREE for all the poor teachers of the world. Download your own here! Let me know what you think:) We shaded ours like we did previously and then put them into our math notebooks! Woo hoo! Have a great week. It is baby shower time for me. I have two kids absent today---So 16 kids here today. Crazy! Love this! It is perfect for my math class right now. Thanks for the resource! Great I'm glad you a couldfind it useful! 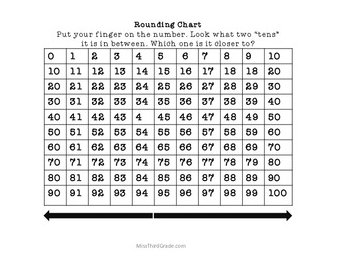 My grade partner and I have been searching for a good hundreds chart to teaching rounding. Thanks so much, made all the difference!